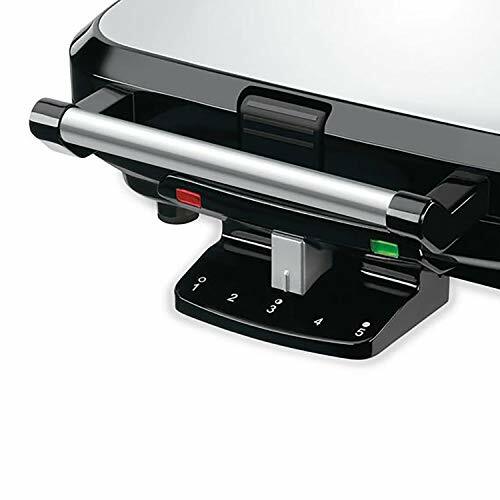 View More In Waffle Irons - Page 5. 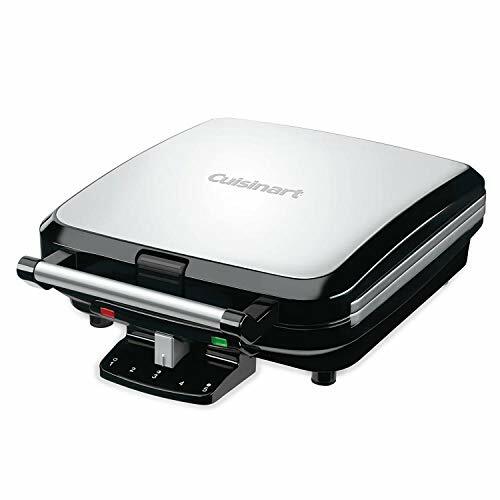 The Cuisinart 4 slice Belgian waffle maker makes it easy to enjoy waffles for breakfast, dinner and dessert! 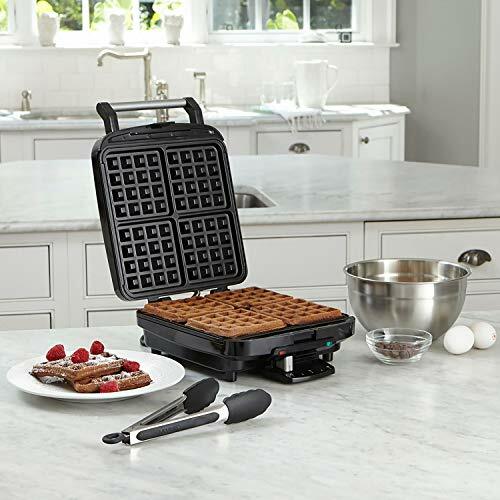 this reliable, high-performance waffle iron has an elegant stainless steel top. 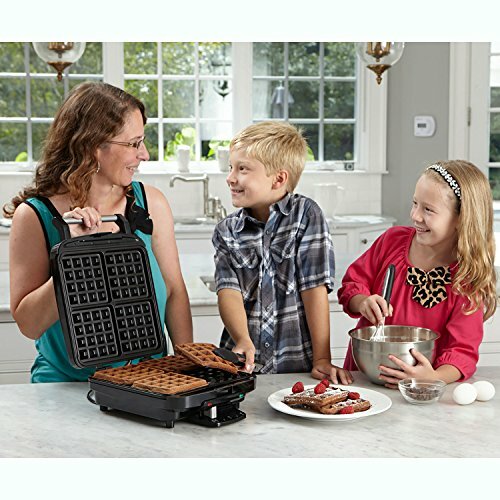 It makes traditional deep-pocket Belgian waffles that hold more toppings for more delicious options! Five-setting controls create customized results to meet all tastes. Green light signals when unit is ready to bake and when baking is done. 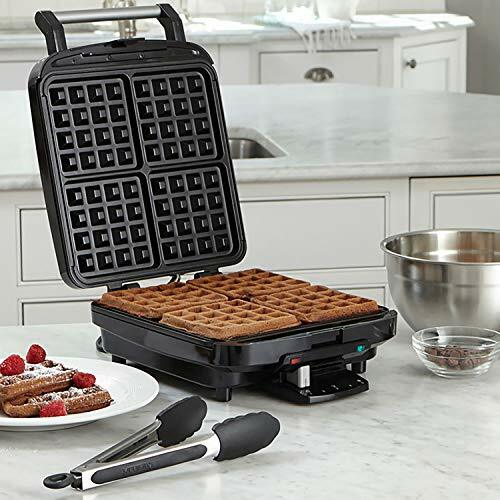 The interior has a quality non stick surface that releases waffles and makes clean up easy. Manufacturer's limited 3 year warranty. Measures 14.2\" L x 10.2\" W x 4.7\" H.